bumpkin told me she was going to make a pork dish — so i took out a pork loin to defrost and then i went off to search for a recipe — i had bookmarked this one on two different blogs so i decided this was the one! 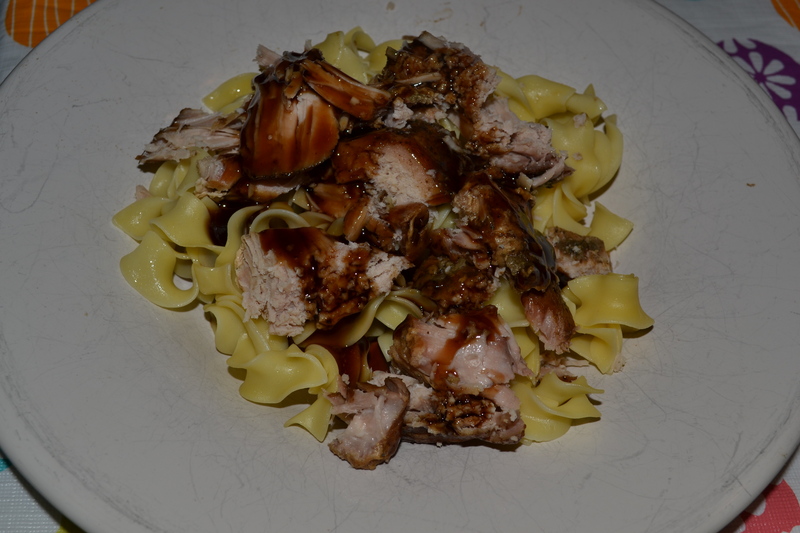 the pork itself was ok – nothing special or flavorful.. the sauce though was delicious! i served over egg noodles! I took out pork loin chops fairly late in the day. So, I knew I wasn’t going to be able to make a recipe that required marinating. I found this recipe, by The Neelys on foodnetwork.com. I made very few modifications to the original recipe. 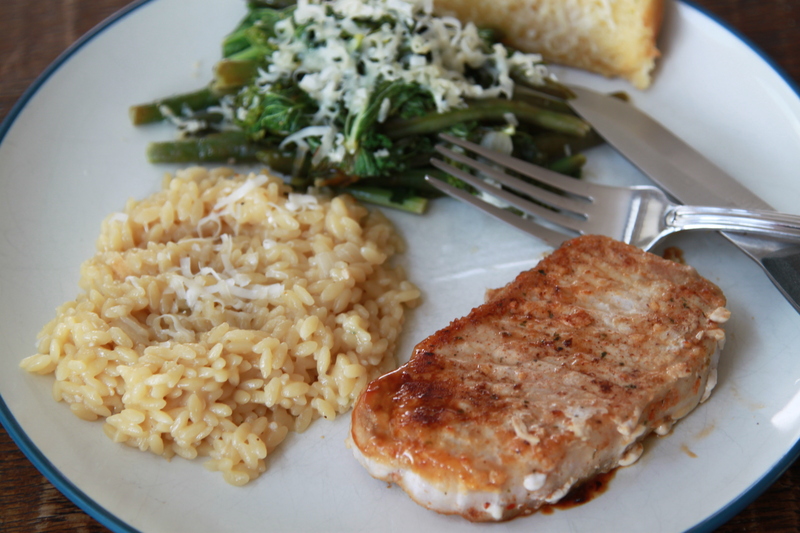 Season the pork chops lightly on both sides with the Seasonings. Remember, we aren’t rubbing the chops. Grill the chops for 5 to 7 minutes per side. Brush them with the Sweet and Tangy Glaze the last 5 minutes of grilling. Internal temperature should register 145 degrees F on an instant-read thermometer. Remove the chops from the grill to a serving platter and allow them to rest for 5 minutes before serving. In a small bowl, mix together the apple cider vinegar, maple syrup, ketchup, mustard, Worcestershire, and hot sauce. Season with salt and pepper, to taste, and refrigerate if not using immediately.